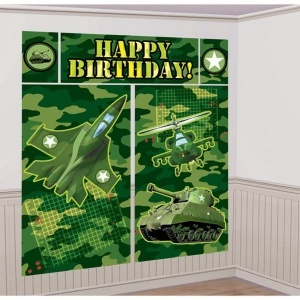 Camouflage Military Army Greens Party Supplies. 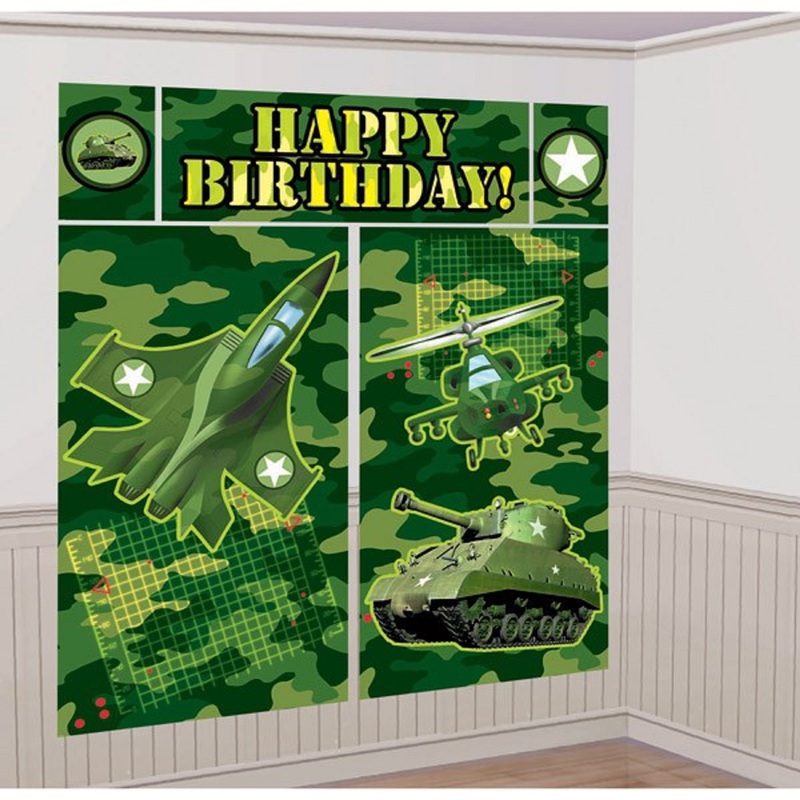 Giant Scene Setter Wall Decorating Kit. Made of Plastic so suitable for Indoor and Outdoor Use. 5 Pieces - over 6 feet when assembled.